Is a Million-dollar Award for Translators Too Much? 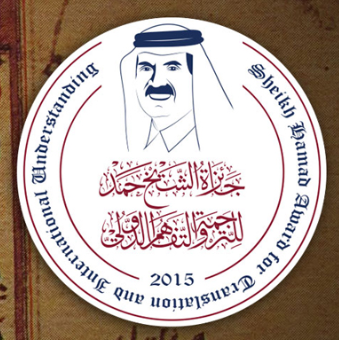 The Sheikh Hamad Award for Translation and International Understanding promises to recognize winners in five different categories. In each of the first four categories, a winner is promised $100,000. Second prize is set to go for $60,000, and third prize for $40,000. Meanwhile, the Achievement Prize is promised all in a lump of $200,000. For 2015, the submission guidelines limit nominations to “the fields of the humanities and social sciences.” This makes the prize much like the controversial $1m “Custodian of the Two Holy Mosques King Abdullah bin Abdulaziz International Award for Translation,” which promises to dole out a million dollars each year in five different categories, with a focus on academic translations. However, the Qatari prize is different in that it includes under this umbrella theatre, poetry, novels, and other literary forms. The judging criteria for the new Qatari prize are posted online, with points for the “significance” of the translated work, accuracy, and “translation stylistics and aesthetics.” Unfortunately, while the award nods toward an independent Board of Trustees, the members of this board aren’t named on its website. Translation prizes are certainly welcome, especially when they raise the profile of translators and foreground the quality of translations. And hey, what translator couldn’t find uses for a check for $100K? (If they couldn’t, the UNHCR certainly could do.) But the bigger a prize is, the more the need for transparency. Hopefully, there will be more information about who’s judging the prize as it moves forward. Reblogged this on dil çeviri vesaire.